ALIENS: A MYTH OR REALITY? The mystery and doubts about extra-terrestrial life has been creating a lot of curiosity for quite some time. This has led to a lot of speculation as well as scientific investigation, but the questions still remain unanswered. 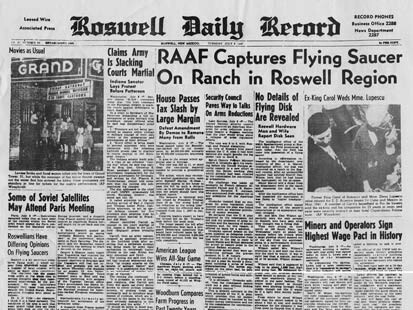 It all began with the 1947 incident of Roswell, New Mexico, when a UFO (Unidentified Flying Object) was believed to have crashed on earth. According to the FBI, debris of the UFO and three dead bodies of aliens were supposedly discovered. The US government, obviously, concealed many of the facts, thus leaving this incident to remain a mystery. Although there are supposed to be quite a few UFO sightings even before this incident, it is this that began the sudden upsurge of questions about aliens and extra-terrestrial life. Though the upsurge of alien investigation began after the 1947 incident, there have been many occurrences throughout life that in some way or the other indicate or give hints of the existence of aliens. Some of the happenings have been as early as thousands and hundreds of years ago, which tells us that aliens might have been here much before than we had actually thought. One of the most intriguing evidences of existence of aliens has been found in human evolution. The human species of Homo neanderthalensis or Neanderthals were far more superior in intelligence and adaptability compared to their predecessors, the Homo erectus. The Neanderthals were quite similar to the Homo sapiens. Some paleanthropologists and anthropologists believe that this change is not a natural process and that some kind of mutation was involved in the evolution from the Homo erectus to the Neanderthals. The Neanderthals came into existence about 250, 000 years ago. According to some of the paleanthropologists and anthropologists, aliens had come to earth at that time and transferred their genes into the existing humans and thus caused them to evolve into new, intelligent, and far more superior human beings. Another very much intriguing indication of the existence of aliens, are the great pyramids of Egypt. The ancient Egyptian civilization was established in the 3rd millennium BC, specifically around 3150 BC. The great pyramid of Giza was believed to be completed around 2560 BC. The other Egyptian pyramids were also believed to be built somewhere in the 26th century BC. 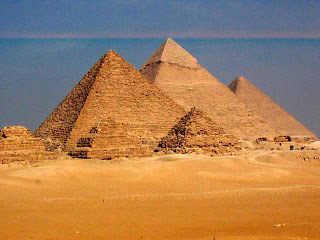 The pyramids were built by huge pieces of blocks of stone with each block weighing about 2-3 tonnes. The pyramids were also built with a great amount of accuracy. The walls of all the pyramids are perfect equilateral triangles, i.e. each angle is of exactly 60 degrees. Each angle even inside of all the pyramids is of exactly 60 degrees. Although there are many theories of how the pyramids were built, it seems to be almost impossible that they were built by humans. It is hard to believe that humans in such an ancient era, without any advanced technology, built the pyramids with such huge blocks of stone and that too with so much accuracy.There seems to be some kind of technology used to build them. This gives an indication that the ancient Egyptians might have got a helping hand from a superior and much advanced species, which could be aliens. There is a strong possibility that aliens had come to Earth and helped them, for whatever reason, in building the pyramids. There is a lot of art work on the walls inside the pyramids. Among all these works, the most amazing thing to be found is drawings of electric bulbs and electric wires. This shows that there is a possibility that the electric bulb was invented much before Thomas Edison, which is again very hard to believe. It is very dark inside the pyramids, therefore, it is very obvious that the ancient Egyptians used some kind of light for all the art work. The more logical method would seem to be the use of fire by burning charcoal. But, if this is so, then there must be a lot of black marks of burnt charcoal all over inside the pyramids. 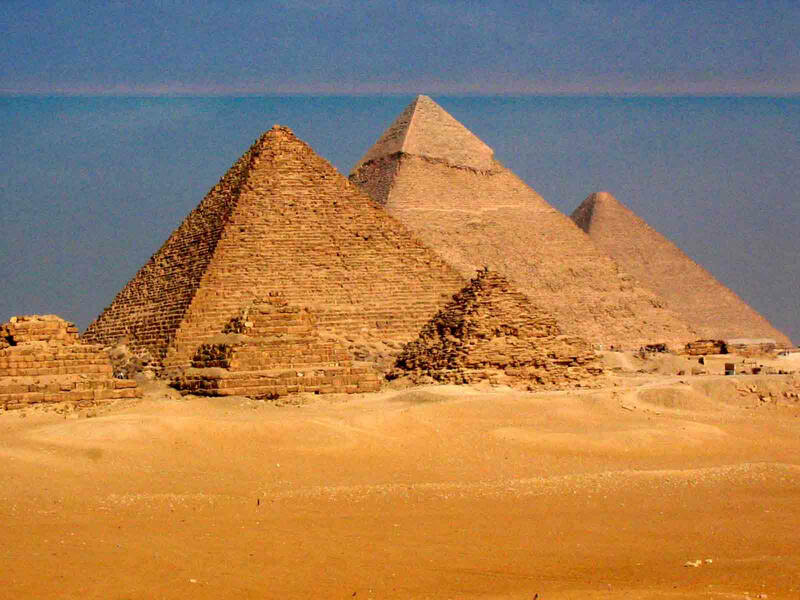 Amazingly, there are no black marks to be found inside the pyramids. This strengthens the possibility of the use of electricity by the ancient Egyptians. Again it seems to be impossible for people of an ancient era to use electricity. This also gives an indication of the existence of a superior species, probably aliens, at that time. It could be possible that aliens at that time had come and used their advanced technology to help them in building the pyramids and making the art work inside the pyramids. It maybe hard to believe this, but it is equally hard to believe that the ancient Egyptians had some advanced technology. The ancient Maya civilization, established around 1800 BC, also gives some indication of the existence of aliens. The Mayans believed that their Gods lived in the sky and came down to interact with them and help them in solving their problems. It could be that these so-called Gods were aliens. It is possible that aliens used to come and interact with them. Due to their far superiority, the Mayans could have believed them to be Gods rather than aliens.The cave drawings of the ancient Mayans are quite mysterious. In the caves there are drawings of figures that resemble UFOs. It cannot be mere imagination, because human imagination is based on something. At a time when even the wheel was not invented, it does not seem to be possible that Mayans imagined figures like UFOs without any reference. They might have obviously seen something like it and then drew it in their caves. Their caves also depict drawings of alien-like figures and figures resembling space-men. The remains of the Nazca culture that flourished between 800 BC and 300 AD also gives an indication of existence of aliens. Archaeologists have found a runway kind of structure for aircrafts near the remains and believe that it was built in that time itself. It is obvious that if that is a runway for aircrafts it was in no way built and used by the people of the Nazca culture. Possibly, it was built by aliens and they used it to come down to Earth. It is also believed that the famous Nazca lines, geoglyphs created by the Nazca people, had something to do with aliens. The Nazca lines comprise of many figures that include simple lines as well as figures like humming birds, spiders, monkeys, fish, sharks, llamas, lizards, and a strange image of two large hands. The lines are so enormous that they cannot be seen from the ground. They can only be seen from a much higher place. They range in size from 16.8 to 238 yards (a football field is 100 yards). There seem to be many reasons for these to be created, one of them being religion. It is believed that these lines were created so that the Gods that lived in the sky could notice them and help them in their problems. Probably, they were sending some kind of message to aliens whom they believed to be Gods. It is possible that aliens used to interact with the Nazca people and during some kind of crisis they might have created the Nazca lines in order to call them back and help them out in their crisis. All these occurrences have been in the past, about thousands of years ago, and this makes it difficult to prove them. Nothing much can be said about these evidences. But one thing is for sure that it is hard to deny them. Some archaeologists say that these evidences are so intriguing and good enough that the only way to disprove them is that if aliens themselves come and say that they were not here at that time. Even today, we have come to know about many occurrences that give an indication of the existence of aliens. The most common of such occurrences are UFO sightings. UFOs are believed to be flying objects or spaceships in which aliens travel in space. There have been innumerable UFO sightings all over the world. Many people claim to have video clippings as well as still photographs of UFOs. Some of them have proved to be a hoax, but a lot of them seem to be authentic. There have been times when people from different countries have seen the same UFO at the same time. Some pilots have also claimed to have had close encounters with UFOs. They say that during such encounters they lose all their radio signals and when they attempt to track it, the UFO suddenly disappears. Even NASA claims to have videos of UFOs that were taken in outer space. Perhaps the most convincing evidences of aliens are crop circles. 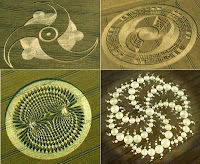 Crop circles are huge geometric patterns that are made on fields. These geometric patterns are as large as a football field. The most amazing thing about them is that these patterns, despite being extremely large, are very accurate and are made in the span of just one night. There have been times that a crop circle has been made by a large group of people in order to prove that they are just pranks and have nothing to do with aliens. But, it is easy to differentiate between crop circles made by humans and the ones supposedly made by aliens. Firstly, the ones made by humans are not even close to the ones believed to be made by aliens, when it comes to accuracy and finesse. Secondly, and more importantly, when humans make crop circles, the crops get scattered all over. Whereas, in the ones believed to be made by aliens, the crops are flattened in a systematic manner. It is believed that crop circles are made by the magnetic waves that come out from UFOs. Nobody really knows the purpose of crop circles. Some believe that they are made to give directions to UFOs. Others believe that they are some kind of abstract message by aliens to humans. There are others who feel that crop circles are just a way of aliens to tell humans that they exist.The stories of alien abduction also tell a lot about the existence of aliens. There are people who claim that they have been abducted by aliens and that aliens have performed experiments on them. Skeptics argue that all these stories are made up. According to them these stories are either blatant lies or just a result of their imagination. They also say that such people have dreams in which they are abducted by aliens and that they get so much affected by it that they feel that the incident has actually occurred. However, there is so much clarity in the description of such stories that they seem to be true. Also, there is a striking similarity in the description of all the abduction stories, no matter which part of the world the individual belongs to. There are too much of similarities in the description of the way in which they were abducted, the ambience, and the things that aliens do to them. Such similarities between the experiences of people belonging to different countries cannot be just a coincidence. In USA there are many clubs for people who believe that they have been abducted by aliens. In these clubs they share their experiences to each other and in doing so they try to lessen their fearfulness and trauma that they go through while being abducted. All these happenings, from the past till today, clearly show that there is something out there. Although these evidences give a good indication about the existence of aliens, somehow they are not conclusive enough. The evidences make us think that probably they exist, but nothing has yet been there that fully convinces us about their presence. Maybe the aliens themselves do not want us to be convinced about their existence and they might be playing the game of hide and seek with us humans, for reasons unknown.Whether or not there is any concluding evidence, it is hard to imagine that Earth is the only planet that has life. Space has no limit and Earth is like a dust particle when compared to it. It cannot be that Earth is the only place in the entire cosmos where life exists. PS: To read more about aliens and extra-terrestrial life, refer to my article, Alien Abduction or False Memory Syndrome? whoah, this is the strangest thing I have ever read and heard. yeah it is strange ... hard to believe, yet believable. Outside the earth had the life? That one question that now was in searched. Was straightened by me? I guess humans really dislike the idea of lonliness in any circumstance... so the idea of not being alone in the universe gives a lot of comfort. Your blog is amazing...I too believe in aliens and their existence and like X-Files enjoyed your post...Another Fox mulder, huh? It really freaks me out whenever I heard stuffs like this one. This is a very interesting article and well put together and it is apparent that you have done your research - as for whether I believe in UFO's etc I am still open minded. I'm glad that you liked this article and that you appreciate the effort behind it. I like people who say that they are open minded rather than those who rigidly deny and ignore facts related to paranormal activity. The facts may not be absolutely conclusive evidences but they do tell a lot. This is why it is better to be open minded instead of completely disbelieving such activities. I don't think the existence of aliens boils down to what we think or believe. Did you know, according to probability theory the chances of the way life evolved on Earth in other parts of the Universe is actually ridiculously common?The immediate question would then be - why haven't we encountered any ET life forms? Quite simply because the universe is so big that we still do not comprehend the physics underlying it and it's still a mystery for us. Well, of course it's not about what we think or believe, but it's about the facts and evidences that give some kind of indication of the presence of aliens.